Kate is an uptown girl, she is a popular gal and on the go, so her mobile phone keeps her up to date with her friends and where to be seen around town. She's an attractive you ng lady that many modellers will want to show as is, or maybe adopt her into another style for their own diorama. 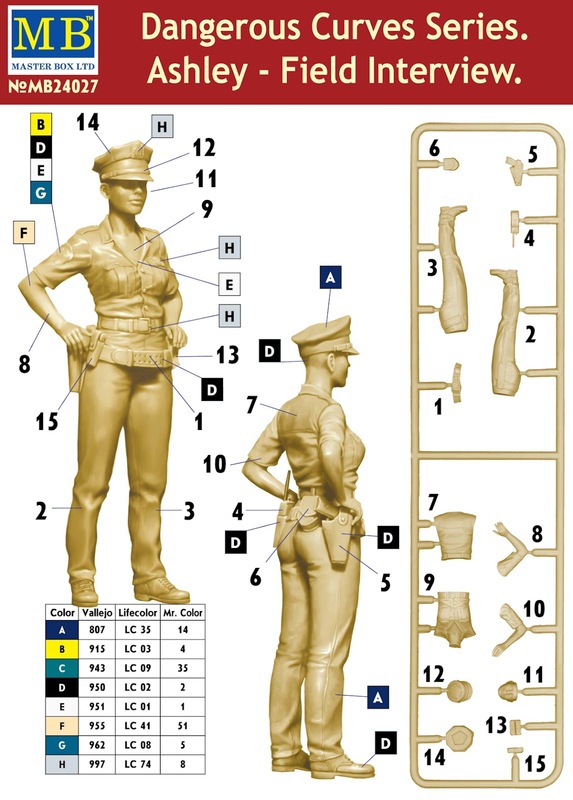 This kit is the part of the series of the new 1/24th scale of figures from Master Box Models. Sculpted in the style that harks back to the very popular Pin-up style. The choice of 1/24th scale for this series of the kits is a boon to the car and automotive modellers, there is a real lack of human figures that are not of a generic nature in this scale - so each of the women in this series looks to liven up this scale for modellers. The kit is in 24th scale also gives the modeller a little more to work with than the smaller scales. The delicate nature of the thinner and finer parts can be nicely and realistically replicated in this size. The kit consists of one sprue with the parts that allow for the creation of one woman. The pose of the girl allows using of the figure with any model of the passenger car. This hot copper looks great in what will be a 24th scale figure. Ashley here is just about to take you "downtown" for questioning after her field interview concludes - she suspects that you have something to tell her! #hashtag status check! Alis here needs to tell us all what's going on so she's tweeting way, here in 24th scale about all of her goings on. Ali is another of the new 1/24th scale of figures from Master Box Models. Sculpted in the style that harks back to the very popular Pin-up style. The choice of 1/24th scale for this series of the kits is a boon to the car and automotive modellers, there is a real lack of human figures that are not of a generic nature in this scale - so each of the women in this series looks to liven up this scale for modellers. This kit is the answer to the need for more figures in the Fantasy modelling genre in the new 24th scale figure series from Masterbox. 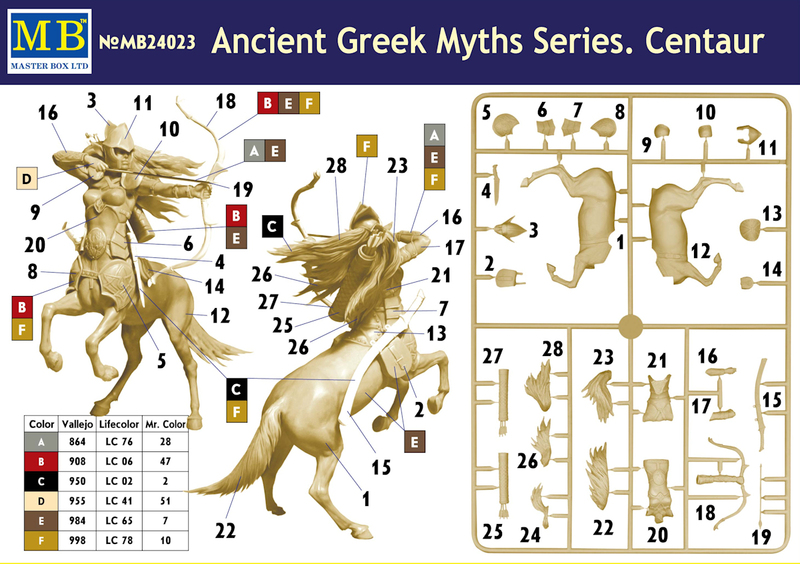 The first kit of new series based on the Ancient Greek Myths, although this kit merges just as much with the fantasy realm of creatures and apparitions. 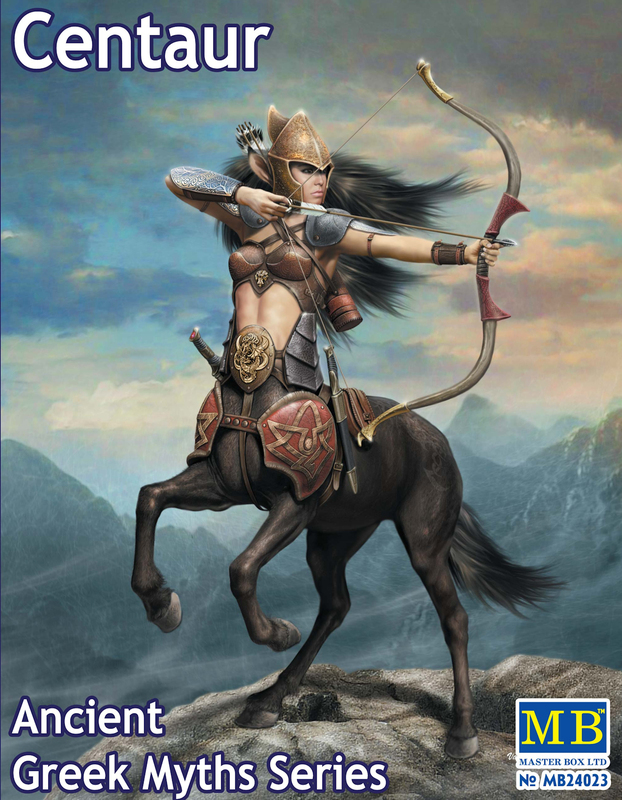 Masterbox' new figure of Centaur is performed out of the ordinary and in spite of the stereotypical image that most of us might be familiar with. In this case, the half-horse-half-man figure that Masterbox has made is not the traditional bare-chested man, but an attractive and very muscular looking woman encased in armour clearly of the fantasy style that both strict devotees of the mythology of ancient times and fans of fantasy genre will like. The figure is sculpted on a high artistic standard. The whole pose is filled with life and motion and this is that rare case of a single figure can show the whole story. The creation of this series, along with Maserbox' other figures in 24th scale enables the modeller to make a mini-diorama and of more large-scale scene with the use of other figures of Master Box figures of the same series and scale, for example, of the figure of Satyr (24024 kit) that will be released very soon. All of these four kits and everything else from Masterbox's releases will be with us in June of 2017. 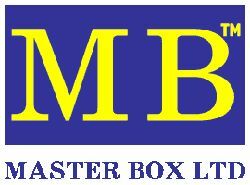 Check out the Masterbox Website for more info on their models.